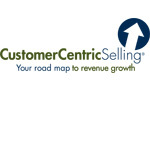 SymQuest today announced that it has been selected to receive the award for Most Consistent Use of CustomerCentric Selling® from CustomerCentric Selling® (CCS®), as part of the company's inaugural CCS® Customer Showcase Awards. The award program recognizes some of the most outstanding sales performances from customers across several industries. SymQuest has been a consistent practitioner of the CustomerCentric Selling® methodology since 2002 and continues to achieve remarkable sales success year over year. Frank Visgatis, President & COO of CustomerCentric Selling®, said, "It's an honor to recognize these organizations for implementing a best-in-class sales process to focus on what's important – their customer. In turn, as CCS® continues to grow, it's our customers that contribute to our success and are our biggest advocates. We strive to provide the best methodology and sales improvement services in the industry."